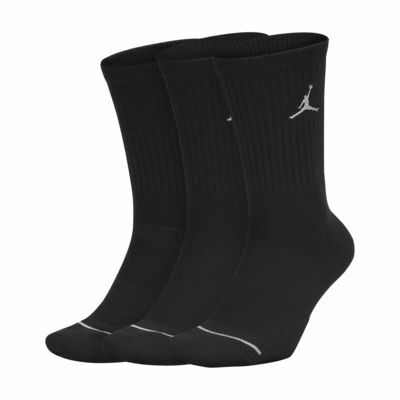 The Jordan Jumpman Crew Basketball Socks feature sweat-wicking fabric to help keep your feet dry and comfortable during the game. Crew socks are higher than I expected, similar to compression socks. They seem to be keeping my feet dry and comfortable, unlike cotton socks. It is too soon to predict how well they will hold up until multiple trips through the washer and dryer. Since they are form fitting, I am hoping that no separation occurs in the fabric from pulling them on. I am pleased so far.